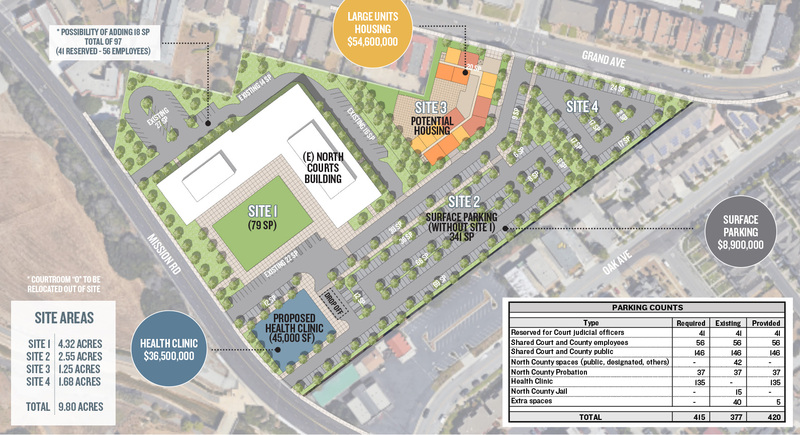 The Master Plan for North County Courthouse Campus addresses four parcels of approximately 9.7 acres, located in the City of South San Francisco, San Mateo County. 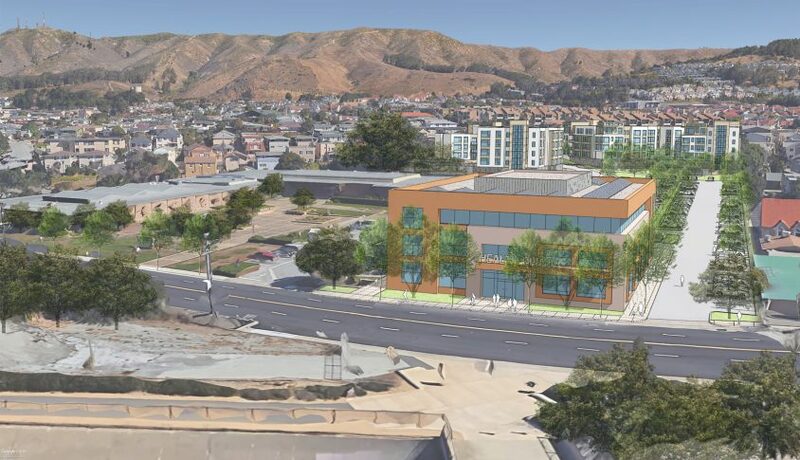 The campus houses the publicly held parcels for the North County Courthouse Building, the Probation Department Building, the North County Revenue Services (located in the Probation Department building), and the vacated North Court Jail (Sheriff´s building). 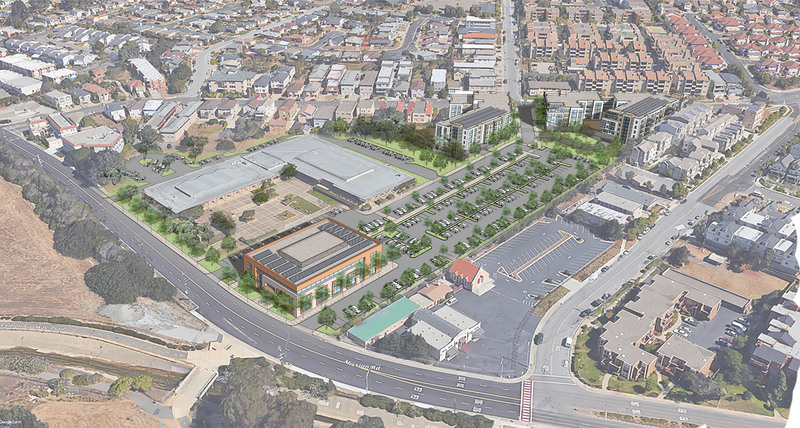 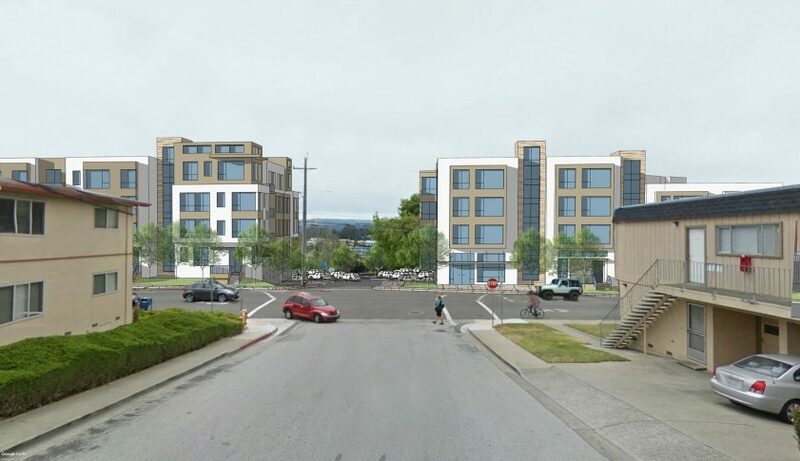 The Master Plan´s objective is to build consensus of a vision for the area to implement and include a new SMC Health System facility (Health Clinic), which has already been studied, approved and has received funding from San Mateo County; along with the inclusion of one or two Housing Development projects on the campus. In addition, a provision of required parking for the North County Courthouse as per the Joint Occupancy Agreement between the County and the Judicial Council of California; the County Probation activities, the new Health Clinic and the proposed Housing is studied.